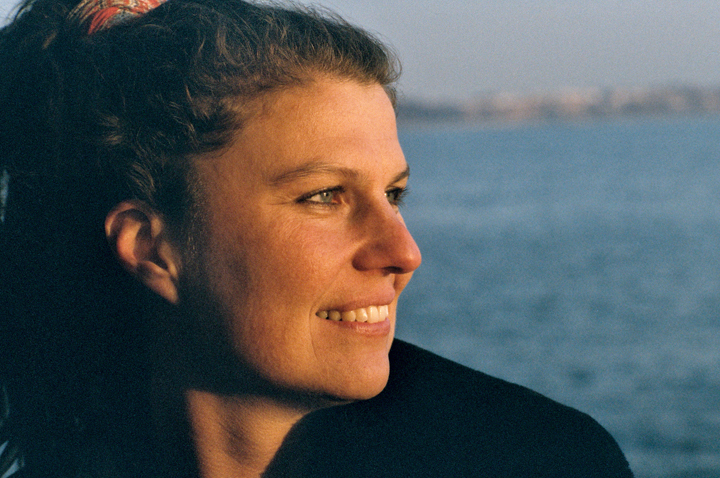 Katja Esson, German-born documentary filmmaker, will offer a free public screening of her film in progress, "Poetry of Resilience," at 7:30 p.m. March 23 in SUNY Oswego's Campus Center auditorium. OSWEGO — Academy Award-nominated filmmaker Katja Esson will teach, speak and screen one of her current projects during a four-day residency at SUNY Oswego, March 22 to 25. Esson will share “Poetry of Resilience,” her film in progress, at 7:30 p.m. March 23 at the Campus Center auditorium. The event is free and open to the public. The German-born New York City artist, best known for insightful documentaries like “Ferry Tales,” is the third of four artists to visit this month as part of Artswego’s “Arts, Identity and Diaspora” theme. “Ferry Tales,” Oscar-nominated in 2004 for short documentary, followed women commuters into the powder room of the Staten Island Ferry, as they put on their make-up and transformed from wives and mothers into businesswomen, attorneys and socialites. Esson’s new film, supported by the National Endowment for the Arts and a Simons Fellowship for the Humanities, traces the stories of six poets around the world who survived atrocities. It examines the common denominator of artistic creativity in their lives, as they learned to use and share deeply rooted memories. One of Esson’s subjects in “Poetry of Resilience” is Li-Young Lee, the Chicago-based poet who earlier this month launched the Artswego series on diaspora, or migration of people and cultures for reasons beyond their control. The filmmaker will meet with video and documentary production students during her stay at SUNY Oswego, and visit a specially designed course that joins English and political science majors on the diaspora theme. For details on all “Arts, Identity and Diaspora” programs, visit www.oswego.edu/arts.